It’s been awhile since I’ve baked anything, much less blogged about it, but luckily I had a Sony Ultrabook Convertible, powered by Intel, to quickly edit and upload my photos to turn them into this blog post! The Ultrabook was lent to me by Intel, so sadly, the fun lasted only for a week as I had to return it!! So for those of you who missed the last post, the Sony Ultrabook Convertible is this awesome Ultrabook which can be used as a tablet, or as a laptop when you slide it open! Being ultra-light and thin, you can slip it in your bag like a notepad so it’s super easy to carry around…….and it wakes up in 7 seconds ready for anything (like looking for a recipe when that sudden food craving comes up?). I found that I didn’t need to charge the Ultrabook much as it has a pretty good battery life (enough for three movies!). Although mine just stayed at home with me, it was a heck of a lot easier to carry around the house than my monster of a laptop, and the touchscreen made it much easier to use when carrying around as well! The Intel processors make the Ultrabook amazingly fast which is quite convenient for me when working with photos for blogging. Whether it’s uploading or saving changes on pictures, it’s so fast I don’t even need to resize the photo and I could quickly get transfer or upload files without having to wait minutes as I’d have to on my laptop 🙂 And with anti-theft technology, the Ultrabook keeps files safe so you don’t have to worry about losing them either! I usually hate using the touchpad or mouse buttons on laptops as they make my fingers hurt and I can never quite control them properly so the touchscreen was quite useful even when using the Ultrabook as a laptop, especially selecting where to edit on photos. I did find however, that when browsing the internet, I’d have to zoom in on the page before clicking the links or else my fat fingers would click the wrong thing! And for the lazy people, I downloaded an app called ‘lazy paint’ which helped me change my pictures into paintings in 5 seconds. Pretty cool huh? You can choose the kinds of effects you want and mix and match them to make your own special picture……and the finished product looks super awesome too! 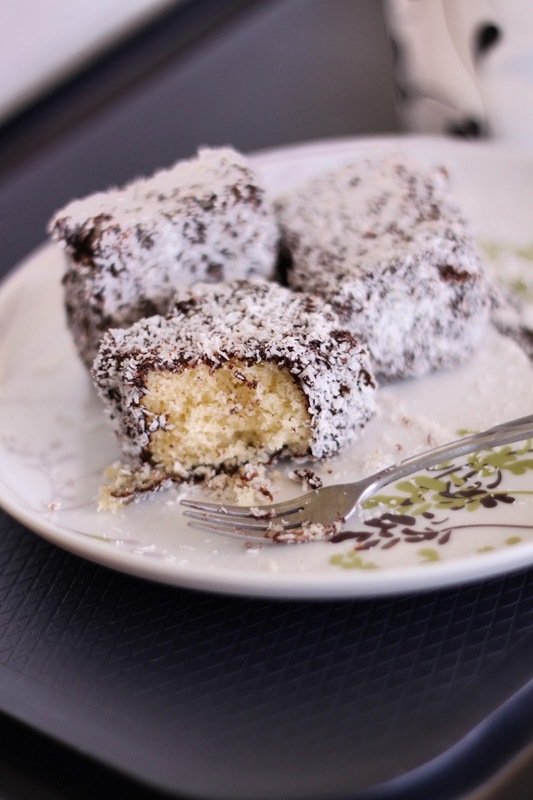 Those lamingtons look amazing! I've always wanted to make them myself – but never actually given them a shot for fear of the mess, haha. 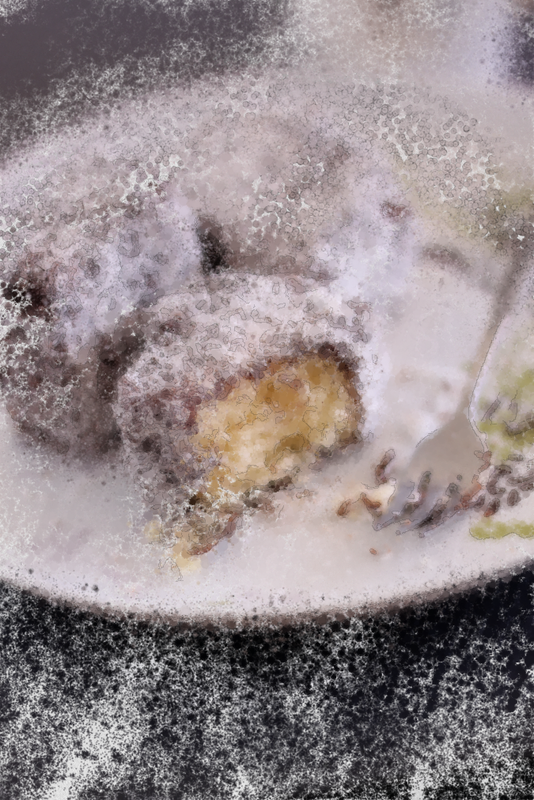 That is a pretty cool machine, and so are your lamingtons. I've never had much luck with sponge cake, so I'm envious of your stellar effort. 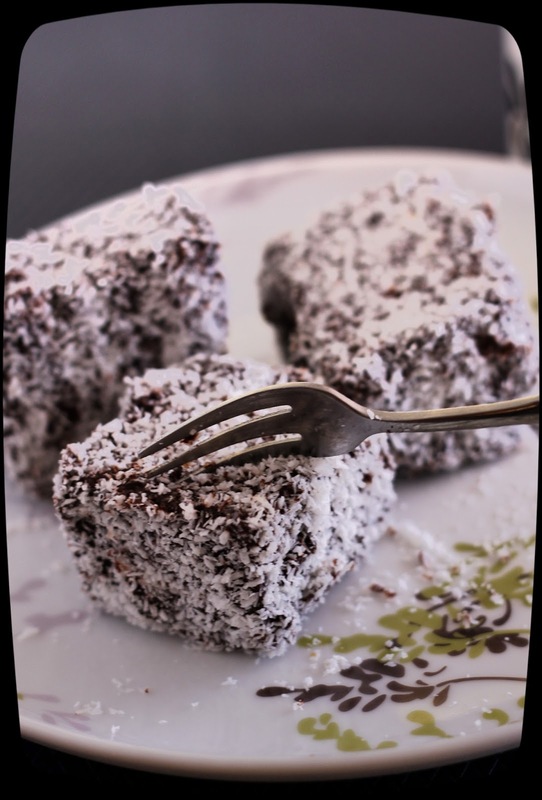 Your lamingtons look totally lovely!!! 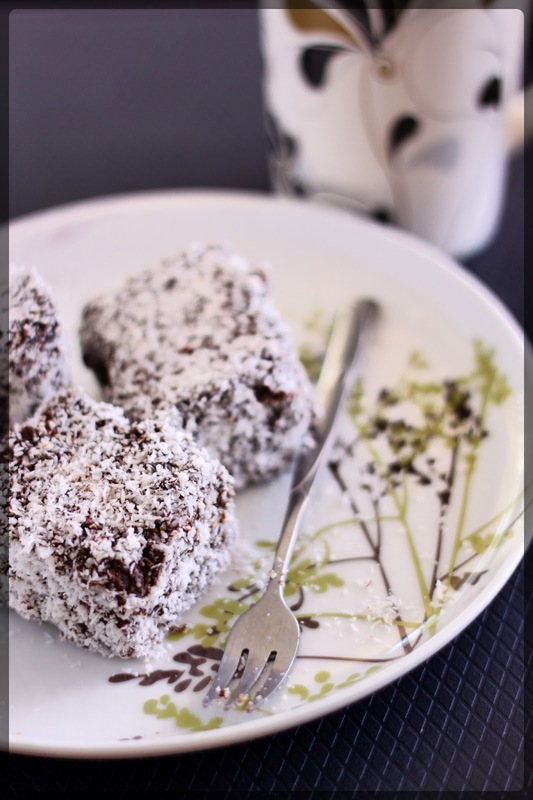 That looks like an awesome tablet and your Lamingtons look dangerously delicious! Hi Von, your lamington cake look delicious. Great to go with a nice cup of coffee. How did hot chocolate powder work as a sub? I always consider it but have never tried it.